Our various plans for building rabbit cages have been saving money and simplifying life for pet rabbit owners and for owners of show, livestock and pet rabbits since we began introducing them in early 2011. Ideal DIY Rabbit Cages provides ideas, plans and well-illustrated directions for over 11 housing methods well-suited to both pet and livestock rabbits. These are the cages, hutch frames and rabbit runs used at Aurora Rex Rabbit Ranch. We’ve included, and greatly expanded upon, the valuable free rabbit housing information on Raising-Rabbits, and lavishly illustrated all the information with photos and graphics. But we don’t just tell you how to build these plans. 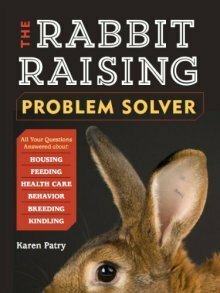 We also include tips and guidance on keeping the rabbit’s environment safe and healthy, both in cages and in modified colonies. Plus, we take a peak into a show rabbit barn and see just how carefully a dedicated show rabbit breeder cares for his rabbits’ welfare. Want ALL our plans for building rabbit cages, hutch frames, rabbit runs and more? You get it ALL in Ideal DIY Rabbit Cages. This e-book includes ALL of our Cage, Hutch, Pen, 'Self-Cooling-Cage-Cadillac,' & Run-Building Expertise, every single plan we've created. 120 pages packed with plans, photos, measurements, variations, and great ideas! 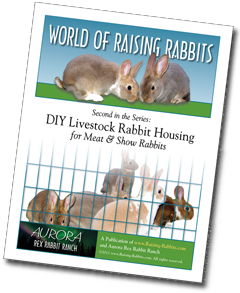 If you like what you see throughout the Raising-Rabbits website, you’ll be pleased with the enhanced and illustrated directions found in Ideal DIY Rabbit Cages and the brand new plans not presented on Raising-Rabbits. That's less than the cost of a single flush-cut wire cutter. See our Double-Value Guarantee below! Because it costs a lot of money to buy rabbit cages for your rabbits. Because if you discover how easy and economical it is to make your own cages, then you may be able to keep more rabbits. Because life is hard enough without having to spend more than you need to on rabbit cages. plans for building rabbit cages! Our policy is to always OVER-deliver on value, which is why your purchase is fully covered by our Double-Value Guarantee. 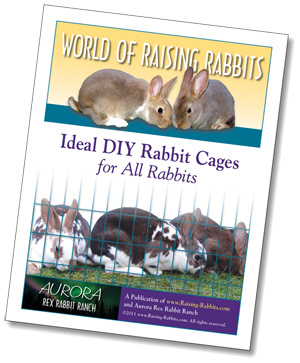 Go ahead - take Ideal DIY Rabbit Cages for a test drive. Examine all our plans for building rabbit cages...and rabbit runs...or metal hutch plans...any or all of them. If you aren't completely satisfied that this e-book is worth at least double, triple or even quadruple the price you paid, just drop us a note within 45 days, and we'll refund you the entire cost. That's our Double-Value Guarantee.